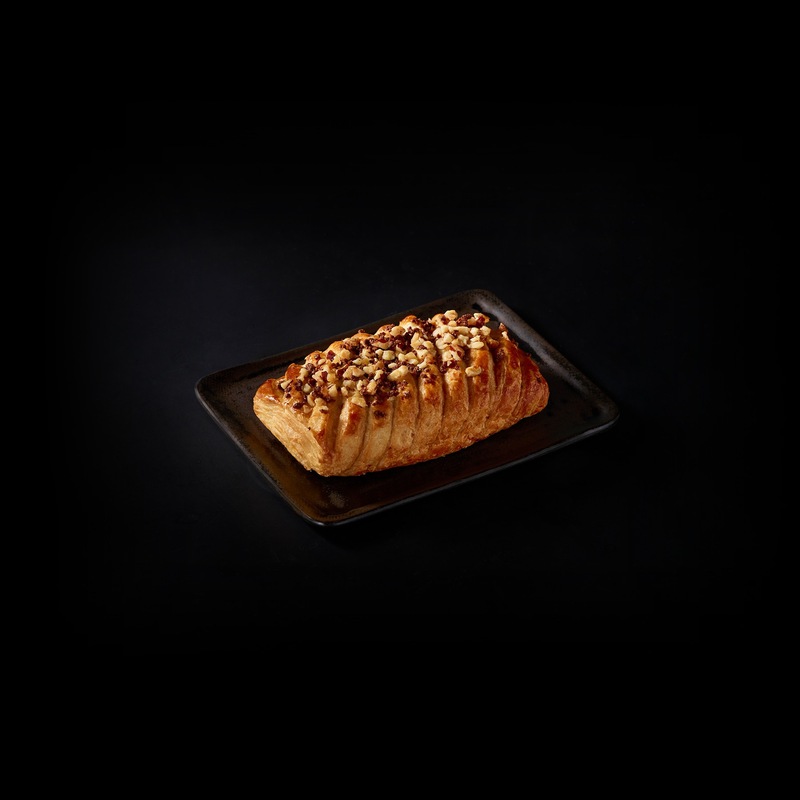 It doesn't get much better than this: a buttery, flaky croissant filled with decadent chocolate hazelnut paste, topped with chopped hazelnuts. hazelnut filling (sugar, palm oil, hazelnuts, milk, nonfat milk, cocoa, dextrose, soy lecithin [emulsifier], rosemary extract [antioxidant], natural flavor), enriched wheat flour (wheat flour, niacin, reduced iron, thiamin mononitrate, riboflavin and folic acid), butter (sweet cream), water, sugar, part-skim milk, yeast, hazelnuts, chocolate crunch (sugar, yellow corn flour, cocoa [processed with alkali], soybean oil, natural flavor), salt, acacia gum, eggs, wheat gluten, rapeseed lecithin (emulsifier), ascorbic acid, enzymes. contains: hazelnuts, milk, wheat, soy and egg. manufactured in a facility that processes peanuts and tree nuts.